In several filings with the SEC, John W. Rogers’ Ariel Investments, has reported upping its stake in Rosetta Stone Inc (NYSE:RST), Spartan Motors Inc (NASDAQ:SPAR) and Sigma Designs Inc (NASDAQ:SIGM). The fund holds 3.45 million shares, representing 15.8% of the Rosetta Stone Inc (NYSE:RST)’s common stock, the fund held 2.27 million shares at the end of the third quarter of 2013. 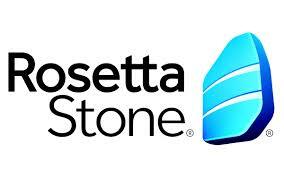 Rosetta Stone Inc (NYSE:RST), provides innovative, technology-driven language and reading solutions for businesses, schools, government organizations and others. Amongst other hedge funds, who are bullish on Rosetta Stone Inc (NYSE:RST), is David Nierenberg’s Nierenberg Investment Management, which holds 1.69 million shares, representing 21.65% of its equity portfolio. Renaissance Technologies, managed by Jim Simons, raised its stake in the third quarter by 19% and now holds 823,500 shares. Also, Ariel has upped its stake in Spartan Motors Inc (NASDAQ:SPAR) to 3.46 million common stock shares, representing 10.1% of stock, from previously held 2.53 million shares, disclosed as at the end of September 2013. Spartan Motors Inc (NASDAQ:SPAR) is a designer, engineer and manufacturer of specialty chassis, truck bodies, specialty vehicles and aftermarket parts the recreational vehicle, emergency response, defense, government services and delivery and service markets. Chuck Royce’s Royce & Associates owns 1.27 million shares of Spartan Motors Inc (NASDAQ:SPAR), with a reported value of $7.73 million. Gamco Investors, managed by Mario Gabelli, held a less significant stake with 290,000 shares at the end of the third quarter of 2013. Ariel Investments has raised its position in Sigma Designs Inc (NASDAQ:SIGM), to 10.1% of common stock, representing 3.49 million shares. The fund held some 1.97 million shares at the end of the third quarter. Sigma Designs Inc (NASDAQ:SIGM), provides system-on-chip solutions. It further caters to connect media platforms and building essential consumer semiconductor technologies. Raging Capital Management, led by William C. Martin, had sliced its stake in, Sigma Designs Inc (NASDAQ:SIGM) to 4.98%, trimming its position to 1.72 million shares. Another hedge fund Algert Coldiron Investors, managed by Peter Algert and Kevin Coldiron, initiated a position in the company in the third quarter of 2013 and currently holds 317,390 shares of the company.